Our Online Services may contain links to the websites of other Porsche companies, Porsche dealers, or other third parties, as well as to social media platforms such as Facebook or Twitter (“Linked Sites”). Porsche is not responsible and has no liability for the privacy policies or practices of Linked Sites. We recommend that you review the privacy policies of each Linked Site you visit. otherwise interact with us and our Online Services. Analytics Information: We may use third-party analytics tools, such as Google Analytics, to help us measure traffic and usage trends for our Online Services. These tools collect information sent by your browser or mobile device, including the pages you visit and other information that assists us in improving our Online Services. We collect and use this analytics information in aggregate form. Log File Information: Log file information is automatically reported by your browser or mobile device each time you access our Online Services. When you use our Online Services, servers may automatically record certain log file information such as your web request, Internet Protocol (IP) address, browser type, referring / exit pages and URLs, number of clicks and how you interact with Linked Sites, domain names, landing pages, pages viewed, and other such information. Clear Gifs/Web Beacons: When you use our Online Services, we may employ clear gifs (also known as web beacons) which are used to anonymously track your online usage patterns. In addition, we may also use clear gifs in HTML-based emails sent to our users to track which emails are opened and which links are clicked by recipients. This information facilitates more accurate reporting and improvement of our Online Services. Location Data: When you access our Online Services via a mobile device, we may access, collect, monitor, and/or remotely store information regarding your mobile device, as well as real-time “location data,” which may include GPS coordinates. Location data may convey to us information about how you browse and use our Online Services. You may opt-out from allowing us to have access to your location data by adjusting the permissions in your mobile device, though some features of our Online Services may not function properly if use or availability of location data is impaired or disabled. Information We Receive From Third Parties. We may receive Information about you from third parties. For example, if you access our Online Services through a third-party connection or log-in (e.g., through Facebook), such third party may pass certain information about your use of its service to us. 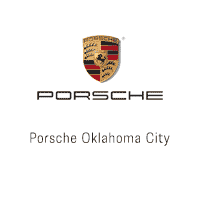 We may also receive Information you have provided to Porsche dealers, our affiliates, or Porsche clubs. We may also obtain other Information about you such as change of address, contact information, or demographic information from commercially or publicly available sources. protecting the security and integrity of our business and our Online Services. While Porsche may contact you with offers and information concerning Porsche or its products, services or Events, you always have the choice not to receive such items. You may contact us as described in the below Contact Us section to communicate your marketing preferences and request to be removed from marketing lists. You may also request that your Personal Information not be shared with independent Porsche dealerships as part of related marketing and customer care programs (although you should be aware that these dealerships also collect personal data directly from you). At the time of registering as a Porsche Online Services user, you will be given a choice whether to receive promotional e-mails from Porsche. Each promotional e-mail you receive from us will provide you a specific opt-out mechanism to allow you to unsubscribe from receipt of these promotional e-mails. By accessing your profile under “Porsche Login” on the Online Services, you may also update your Personal Information in our database or change your marketing preferences. Whether or not registered as a Porsche Online Services user, users who subscribe to the Porsche Magazine or Newsletter may unsubscribe by following the link provided therein, by calling 1-800-PORSCHE or by updating their preferences on our Online Services. You may contact us as described in the below Contact Us section with any questions or concerns you may have about our privacy practices, including requests to update or correct your Personal Information. Even if you choose not to receive promotional e-mails or mailings from Porsche, we may continue to use your Personal Information in order to contact you in connection with product recalls or other transactional purposes. Porsche does not sell or rent your Personal Information to third parties for their marketing purposes. If you wish to opt out of any of the data sharing practices described in this section, please contact us as described in the below Contact Us section. At this time, there is no worldwide uniform or consistent industry standard or definition for responding to, processing, or communicating Do Not Track signals. Thus, our Online Services are unable to respond to Do Not Track Signals. Porsche does not allow third parties to collect Personal Information when you use our Online Services for their promotional purposes. We do use third-party web analytics services, such as Google Analytics, to help us obtain and analyze information about your browsing and usage habits. We implement reasonable technical, administrative, and physical safeguards to keep your Personal Information secure. For example, when you submit sensitive Personal Information, such as credit card information, through our Online Services, we utilize secure sockets layer (SSL) encryption technology. We also request that our third-party service providers use commercially reasonable security measures to protect your information from unauthorized access or use. However, no data transmission is guaranteed as 100% secure. Unless governed by separate terms identified at the time of submission, all suggestions, materials, remarks, or other intellectual property (e.g., ideas, experiences, and photos) you communicate or submit to us (“Submissions”) will be considered nonconfidential and non-proprietary. Porsche shall have no obligation of any kind with respect to such Submissions and shall be free to use and distribute Submissions for any purposes, without limitation of any kind. “Phishing” is a scam designed to steal your Personal Information. If you receive an e-mail that looks like it is from us asking you for your Personal Information, please notify us as provided below in the Contact Us section. Our Online Services are not intended for use by children under 13. We do not knowingly collect Personal Information from children under the age of 13 without parental or guardian consent. Please contact us via the Contact Information provided below if you believe we may have collected such information without parental or guardian consent or other than in a manner authorized by law, and we will work to delete it. As a potential future Porsche Financial Services customer, we want you to know how Porsche Financial Services may share your personal information. The following links will direct you to their Privacy Notice, which explains how and with whom Porsche Financial Services may share your information, and the ways in which you can limit this sharing once you become a Porsche Financial Services customer. If you are a California resident, click here to view or print the Privacy Notice. If you are a resident of any other state, click here to view or print the Privacy Notice. Effective Date: January 12, 2015 Copyright © 2015 Porsche Cars North America, Inc.
To request a summary of the changes made to the last version dated December 1, 2012, please contact us as described above.